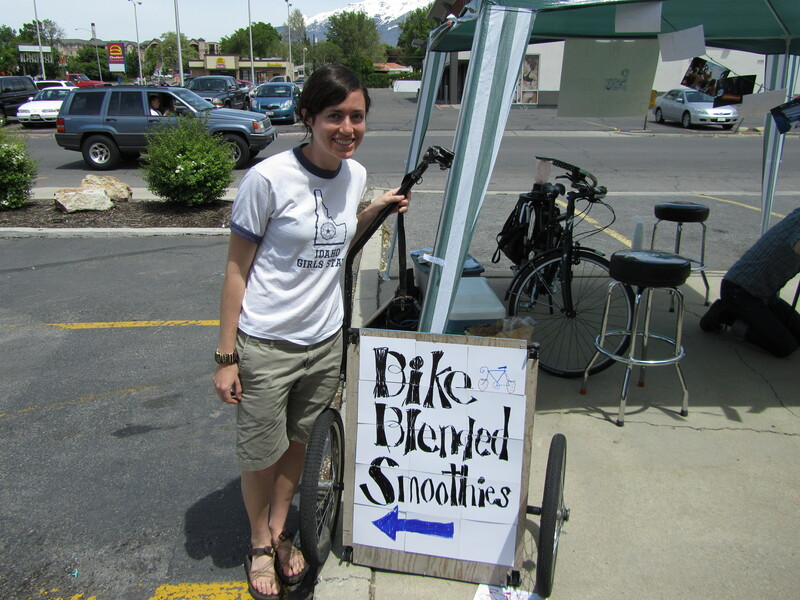 Today was the unveiling of the Provo Bike Committee’s smoothie machine. The event was at MadDog Cycles in Provo and was a great success. 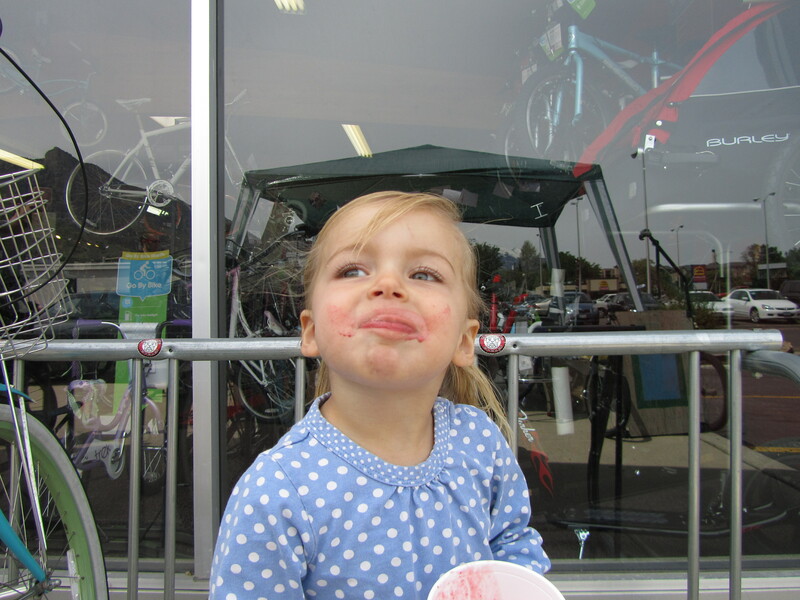 Many cyclists of all ages came by to get their fill of smoothies. 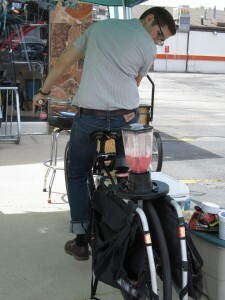 Being in a hustle to make the smoothies when someone was there, we did not get many pictures of people actually buying smoothies. We did however get some pictures of the in between action. This last picture deserves some attention. These three lovely ladies showed up at the stand just before we were heading home. They came over and said they had heard about the event right here on BikeProvo! Needless to say we were really excited. 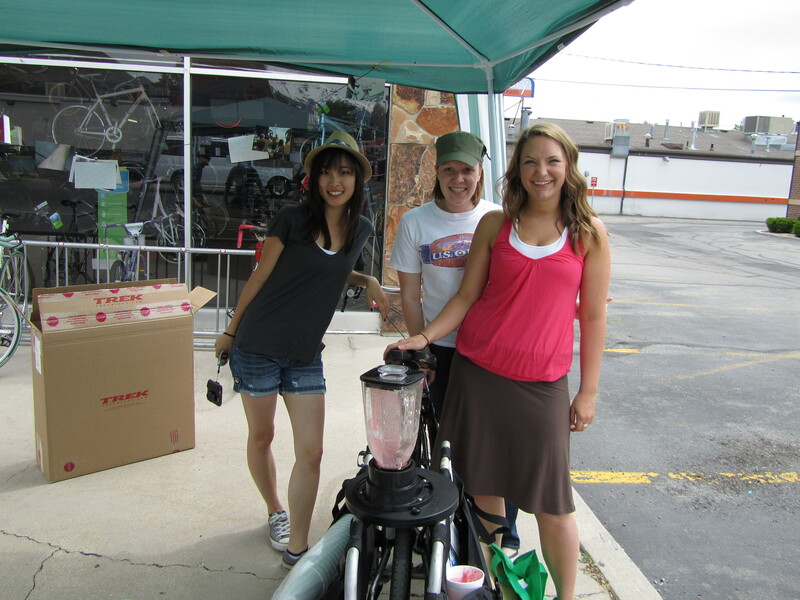 All three of them pedaled their own smoothies and chatted it up while they drank down the fruits of their labors. We did not get their names (Sorry guys. 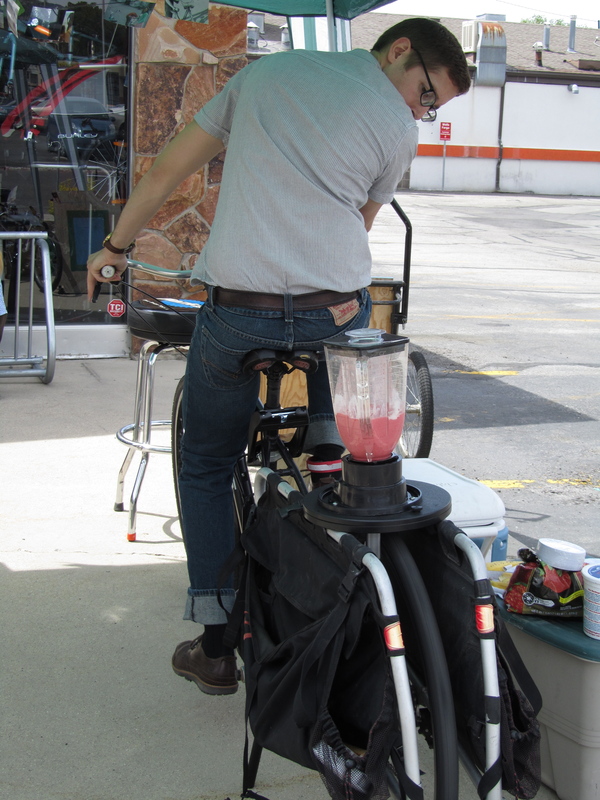 If you want, give us some names in the comment section and let everyone know how good those smoothies were). We were really excited to see some of our very own readers show up and support the event. 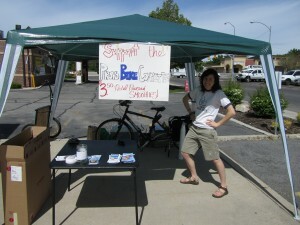 All said the day was great we had a pretty good turnout and talked with a lot of people about BikeProvo and the Bike Committee. 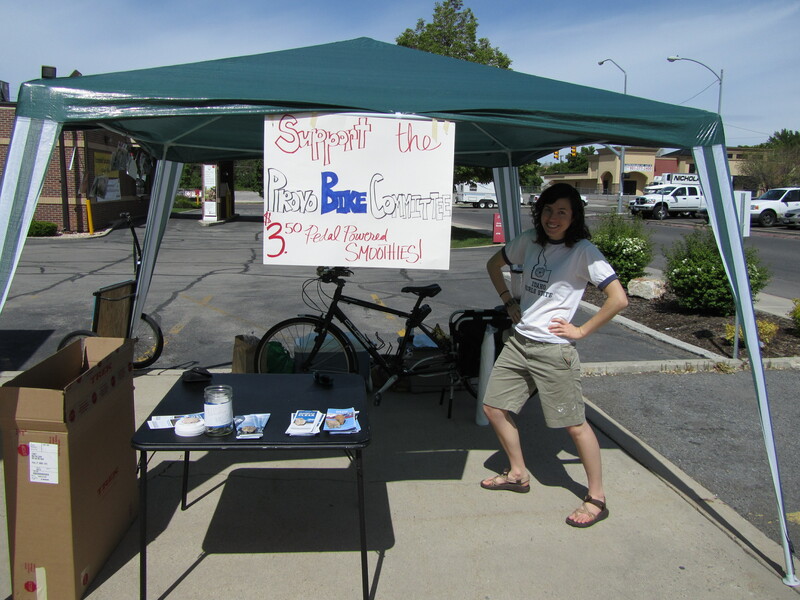 We are trying to get set up at the Farmer’s Market in Provo. We will keep all of you updated on what happens there so more of you can come out and get a cool delicious drink. 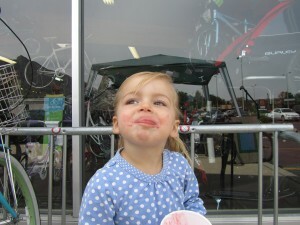 A big thanks to MadDog Cycles for letting us use the front of their store and their customers. 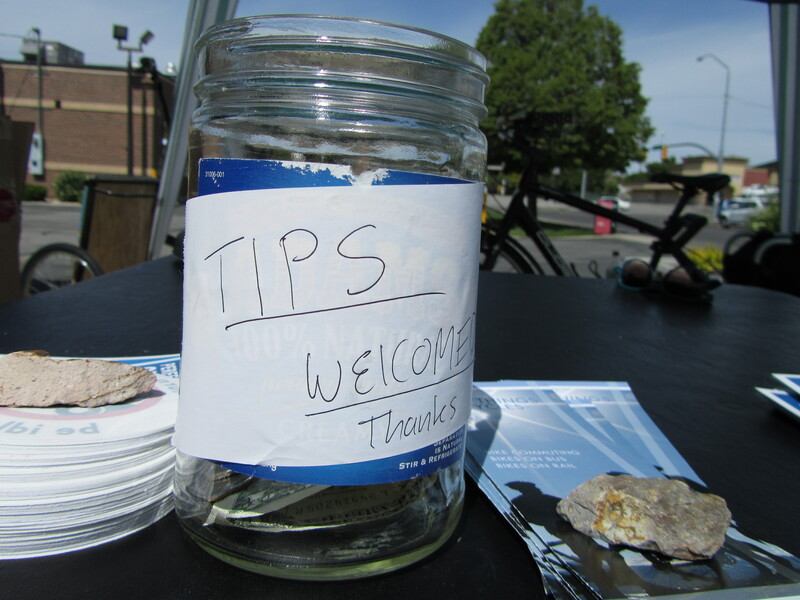 Also a big thanks to the Committee volunteers for helping cycling culture and awareness grow in the valley. 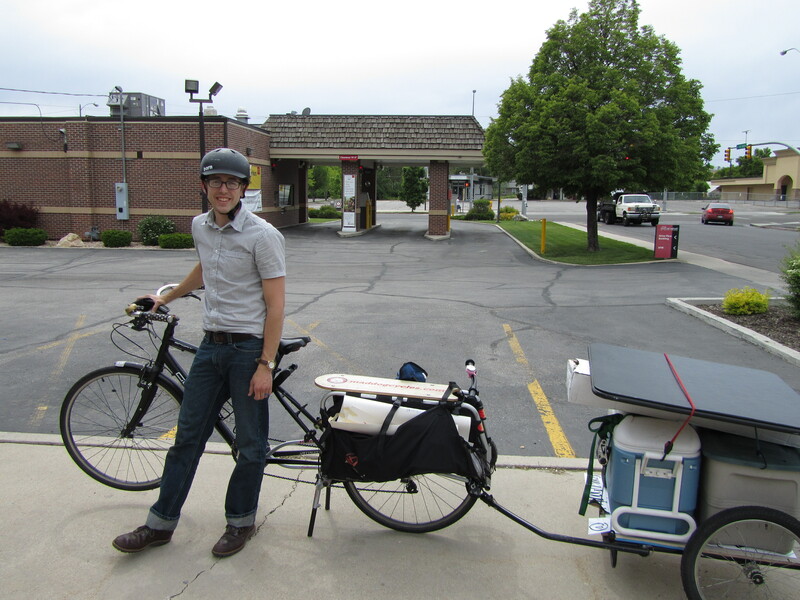 Final thought: Pedal long or pedal short, just get out and pedal. This entry was posted in Bike Advocacy, Local Biking Events, Provo Bike Committee by Zac. Bookmark the permalink.